Models are fully customizable, allowing you to create your own model based on stats and factors that you think are important. 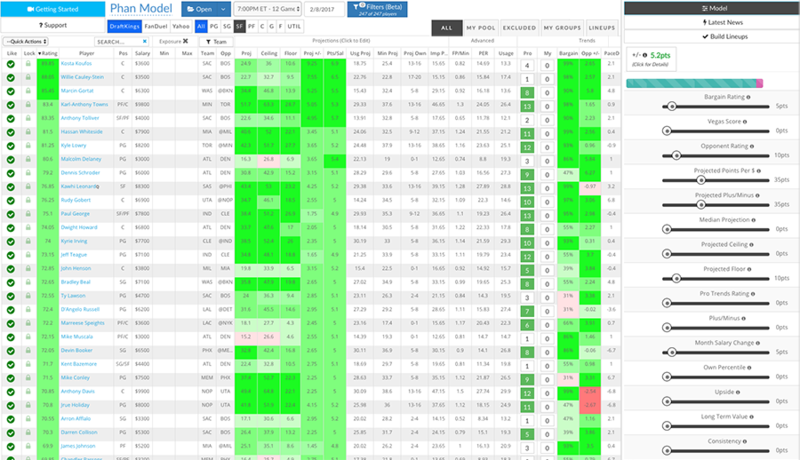 Everything from Vegas lines, injuries, starting lineups, and other inputs that impact player value are updated in real-time as new information becomes available. 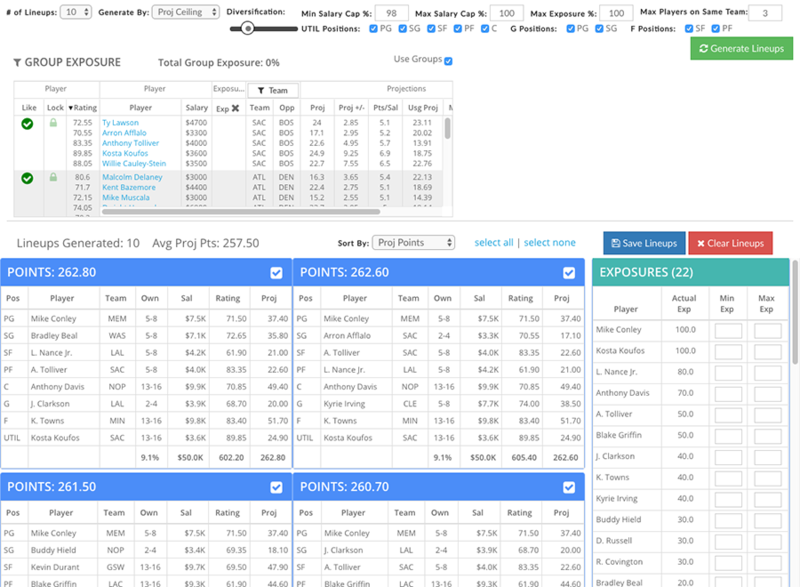 Build smarter fantasy basketball lineups. Start your trial today.